Women will be able to protect themselves from pregnancy in the future by simply putting on an earring. Hormones to prevent pregnancy could be applied to jewellery such as earring backs, watches, rings or necklaces, scientists claim. If successful, the body would absorb controlled doses of the drugs from patches placed on the jewellery. Contraceptive patches are already available and were originally designed for use in developing countries, where access to health care and contraception are more limited. Although research would be required to determine whether the concept would be attractive to women in different cultures the team at the Georgia Institute of Technology say pairing the patches with jewellery is more discreet and may appeal to some women. Transdermal patch technology has been used since 1979 to administer drugs for motion sickness, and control the symptoms of menopause – as well as nicotine patches for smokers. But they have never been incorporated into jewellery or for use as contraception before. The contraceptive technique has not yet been tested on humans but initial testing suggests it may be able to deliver sufficient amounts of hormone to prevent pregnancy. So far it has been tested on pigs ears and hairless rats. Test patches measuring about one square centimetre and containing the hormone levonorgestrel were mounted on earring backs and applied to the skin. To simulate removal of the earrings during sleep, the researchers applied the patches for 16 hours, then removed them for eight hours. Once in the skin, the drug can move into the bloodstream and circulate through the body. Testing suggested that even though levels dropped while the earrings were removed, the patch could produce necessary amounts of the hormone in the bloodstream. 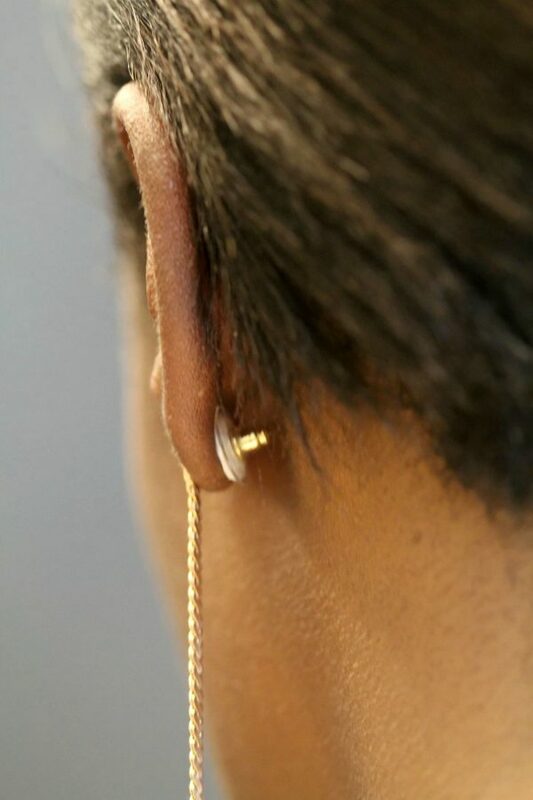 The earring patch consisted of three layers – one layer is impermeable and includes an adhesive to hold it onto an earring back, the underside of a watch or the inside surface of a necklace or ring. A middle layer of the patch contains the contraceptive drug in solid form and finally the outer layer helps the patch stick to skin so the hormone can be transferred. If the technique is used for contraception in humans, the earring back would need to be changed periodically – perhaps on a weekly basis. It is believed other drugs could also be delivered by jewellery in this way and will improve patient compliance with regular medication. Earring backs and watches may be most useful for administering drugs because they remain in close contact with the skin to allow drug transfer. The concept was supported by the US Agency for International Development and the report was published in the Journal of Controlled Release. Dr Mark Prausnitz, a Regents Professor and the J. Erskine Love Jr.Chair in the School of Chemical and Biomolecular Engineering at the Georgia Institute of Technology said: “The more contraceptive options that are available, the more likely it is that the needs of individual women can be met. “Because putting on jewellery may already be part of a woman’s daily routine, this technique may facilitate compliance with the drug regimen. This technique could more effectively empower some women to prevent unintended pregnancies. “We are taking this established technology, making the patch smaller and using jewellery to help apply it. 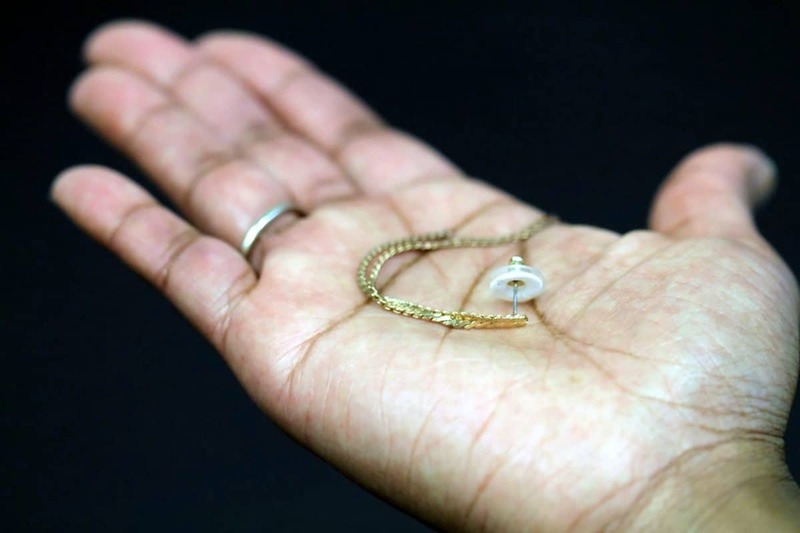 “We think contraceptive jewellery could be appealing and helpful to women all around the world. “The advantage of incorporating contraceptive hormone into a universal earring back is that it can be paired with many different earrings. “We need to understand not only the effectiveness and economics of contraceptive jewellery, but also the social and personal factors that come into play for women all around the world. “We would have to make sure that this contraceptive jewellery concept is something that women would actually want and use. He added: “We think there are uses beyond contraceptive hormones, but there will always be a limitation that the drug has to be effective with a low enough dose to fit into the limited space in the patch.